The rich waters of Phang Nga bay hide lots of small islands and is a place you’ll probably visit during your Phuket holiday on a sightseeing tour. 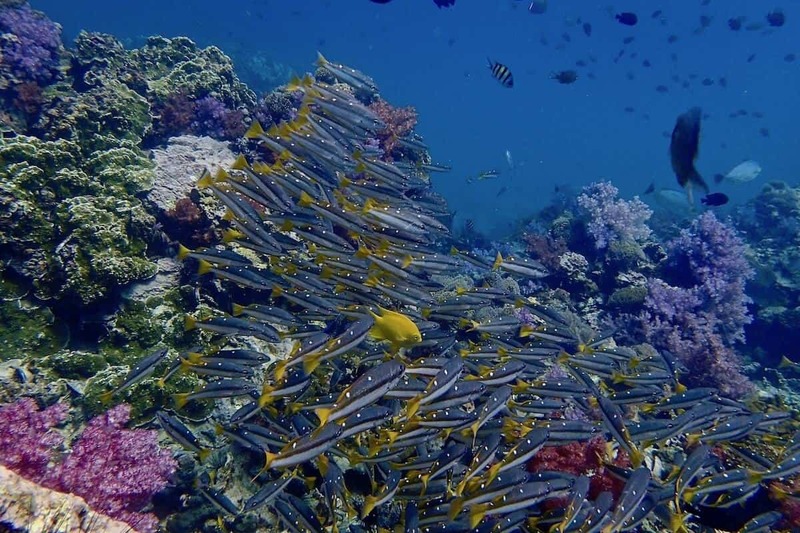 What you won’t see on these tours is the amazingly diverse marine life beneath the waves. Lots of nutrients get washed down from the bay making this area particularly wealthy in marine life. 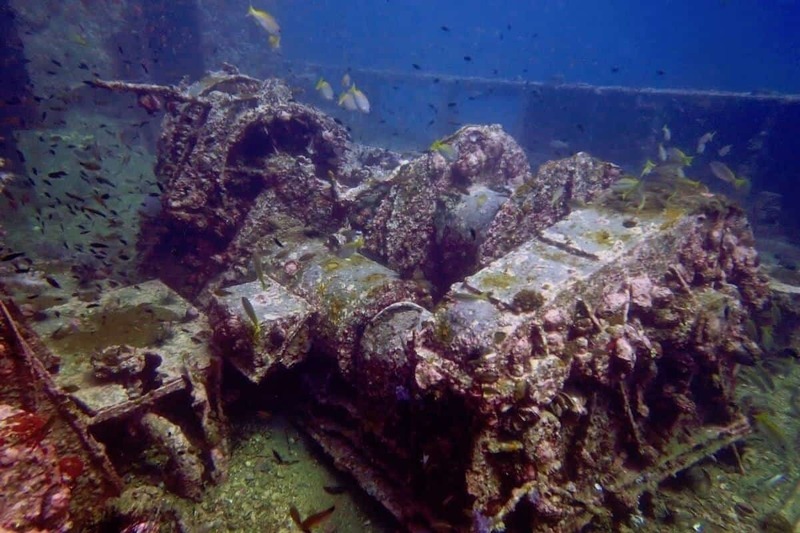 Heavy Metal Wreck – On May 4th 1997, the King Cruiser passenger ferry slowly sink into the Andaman Sea. Barracudas and Schools of Snapper are often seen patrolling the wreck, with the usual large grouper and lionfish lurking in the darker areas. 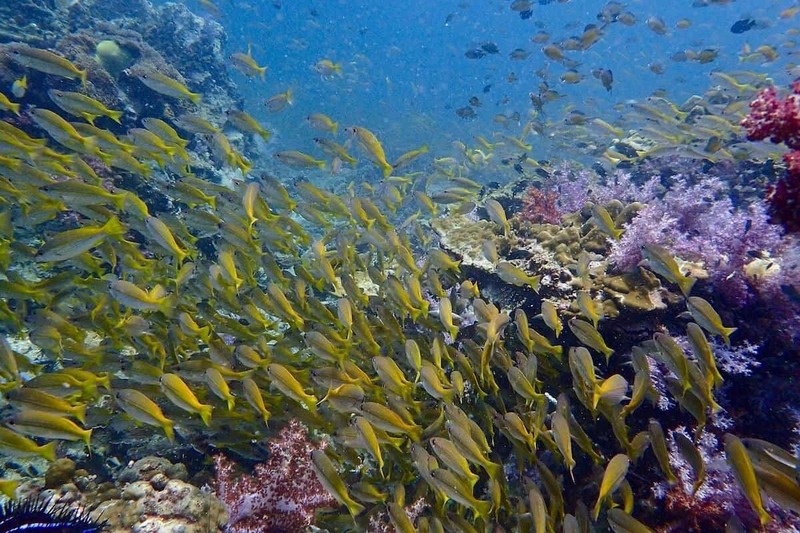 3 Pinnacles and a Lighthouse – Often referred to as one of Thailand’s best dive sites. The shark point dive site consists of three pinnacles – each one is packed with marine life with Leopard Sharks circling the bases at 20-30 meters depth. Easily located by the single spire that breaks the surface of the Andaman Sea about half way to the Phi Phi Islands. This dive will take you down pinnacle one then across the bottom to pinnacle two while you circle the pinnacle up to the surface. The Anemone Carpet – Like a giant underwater blanket of soft corals and anemones, this reef is a dream-scape of color. If you have been looking for “Nemo” you will find him as well as all his cousins here. A nice relaxing dive site.